Continuing the training of professionals associated of the Federación Latinoamericana de Sociedades Científicas de Estudiantes de Medicina (FELSOCEM), once again, this year, 17 students from Paraguay, Bolivia, Colombia, Peru and Brazil visited BIREME in order to participate at Scholarly Communication and Access to Information courses, given by Dr. Lilian Calò (Coordinator of Scholarly Communication in Health) and by librarian Rosemeire Rocha Pinto (Information Services Supervisor). FELSOCEM is a non-for-profit scientific organization dedicated to encouraging the development of scientific research in graduate courses of Medical Schools in Latin America, through the improvement of quality and scientific level of research and education, among other activities. 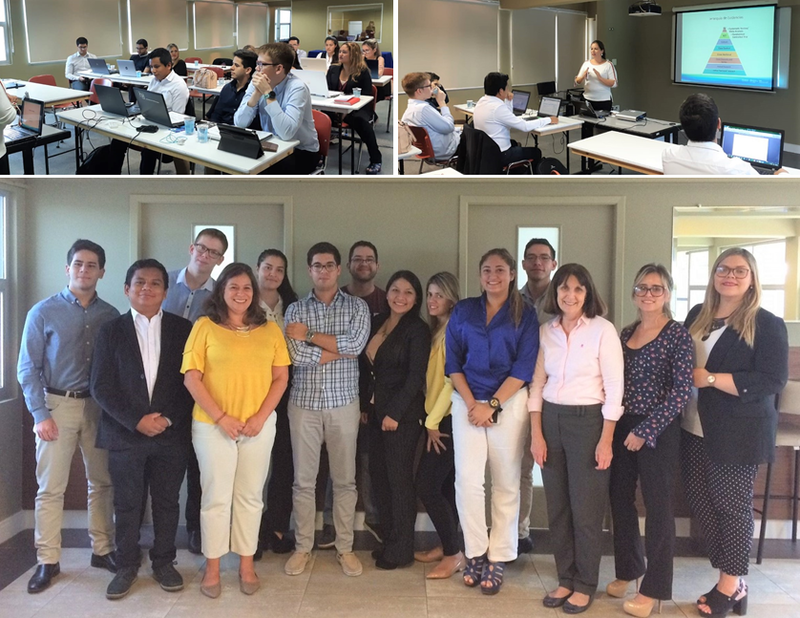 Participants agreed, once they return to their institutions and countries of origin, to replicate the knowledge acquired, as was the case in May 2018 for students of the Facultad de Medicina Humana of the Universidad de San Martín de Porres, in Lima, Peru. In order to facilitate the continuation of activities, BIREME made all the didactic material available in Spanish and proposed online sessions for answering questions from the students. BIREME, by offering training for medical students and young doctors, encourages the publication of research results in health, as well as the correct retrieval and use of information for decision-making in health, within the framework of its attributions in the Biannual Work Plan 2018-2019, under the initiative Information and Knowledge Management. “The experience that BIREME provided us was very enriching; the hospitality of offering us their house, their professionals, in order to give us training is very valuable to us at FELSOCEM, especially considering that the topic was the field of research, a fundamental pillar of our organization. We are extremely thankful to them, and our promise is to replicate the knowledge acquired so that it may reach even younger students.” Raul Aveiro, Medical Doctor, Paraguay. “Excellent course, both in structure and quality of content. The different topics approached by highly experienced teachers were very important for acquiring new knowledge in information retrieval. The course was very didactic, with individual and group participation, which in turn, helped to create multi-cultural attachments with fellow Latin American students.” Cesar Villena, medical student in Peru. 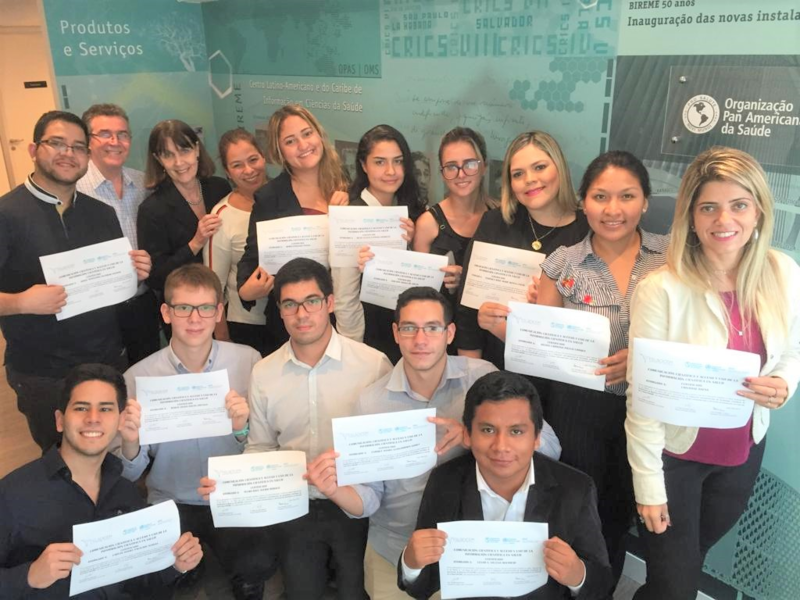 “The Scientific Communication and Access and Use of Scientific Health Information courses, which took place at BIREME headquarters in São Paulo, Brazil, was a wonderful experience and a great learning opportunity for doctors of my generation. It has been proven that what we learned optimizes and improves professional application of medicine and other branches of health. Our infinite thanks to PAHO as well, for committing us to be its monitors as replicators of this course. It is an incalculable honor for doctors of our countries, and we hope to be worthy of this great challenge. Thank you BIREME/PAHO/WHO for the magnificent opportunity!” Verónica Rotela, Doctor, Paraguay. “The course was a great opportunity to continue advancing in knowledge and in the scientific field. These days have given us access to an important cultural exchange, the opportunity for teamworking and, above all, the magnificent experience that allowed us to enrich our knowledge and work in favor of our communities and societies.” Maria Fernanda Piñeda, medical student in Colombia. “The course was a great opportunity for learning even more about the research world. We were able to count on excellent instructors and content; there was a lot of exchange of culture and ideas, all of it very enriching. We hope to take this knowledge with us to our societies with the same quality as we received it.” Edilaine Braga, Brazilian medical student in Paraguay. “The course was a wonderful opportunity for developing our abilities in searching for information. We hope that this culminated in works that are of interest to everyone.” Derlis Rolón, medical student in Paraguay. According to Dr. Lilian Calò, BIREME’s Scholarly Communication Coordinator, “instructors learn as well when we prepare a workshop such as this one for FELSOCEM associates. We work to remain updated in scientific communication topics that are being discussed internationally, in order to bring recent information and debate it with the students”.